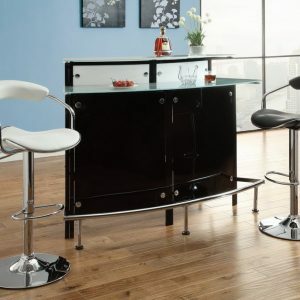 Accent your dining and entertaining space with this modern bar table. 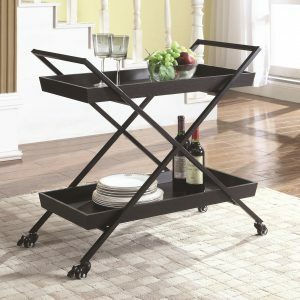 It is finished in black and chrome for a contemporary look and feel. 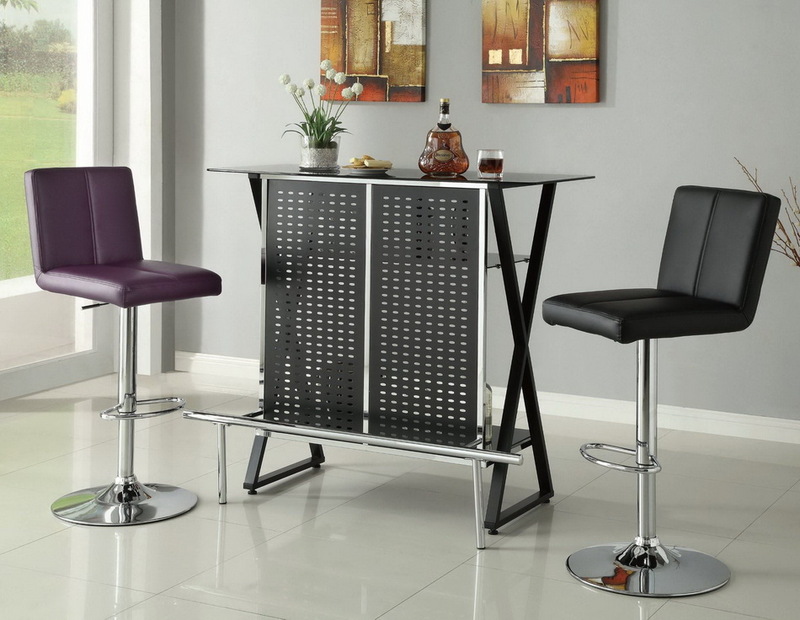 There are two shelves on the back side, cleverly concealed by a black metal screen with chrome accents. 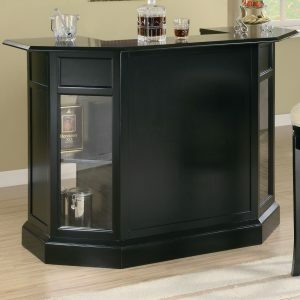 Easily tuck away your spirits and glasses out of sight yet within easy reach. 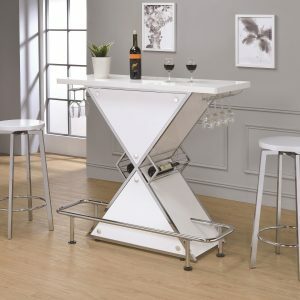 “X” supports and a chrome metal footrest also add to the impressive design of this bar table.